Showing 64 properties out of 67 currently available on the market. 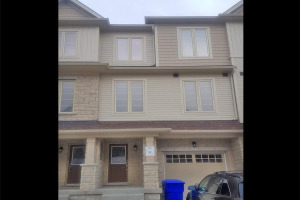 Brooklin is a wonderful family oriented community located in the North End of Whitby. It's boundaries are outlined below. Brooklin is a fantastic mix of "old and new" with a lovely historic downtown business area, old homes as well as new plazas with shopping & restaurants not to mention medical buildings, adult lifestyle living and more. There is a strong sense of community in Brooklin, Whitby with many local events. The largest and most well known event in Brooklin is the annual Brooklin Spring Fair. It runs the first weekend in June every year and is held on the Brooklin Spring Fair Grounds on Winchester Rd (Hwy 7) next to the Luther Vipond Areana. It has been running for more then a hundred years. Community organizations in Brooklin include the Brooklin Downtown Business Association, Optimist Club, Brooklin Horticultural Society, Girl Guides, MAAD, Mount Zion No.39, Kinsmen, Brooklin District Lions Club and more. Brooklin is a fast growing neighbourhood with a strong real estate market. 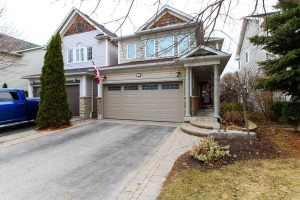 With the population of Brooklin in Whitby expected to grow to over 25,000 by 2015, there is, and has been, a great deal of Real Estate development going on with many new houses being built and many resale homes for sale. With the exception of Rural Whitby, Brooklin boasts the highest average sale price for houses of all the communities within Whitby. Brooklin has a mixture of homes for sale ranging from vinyl to all brick, townhomes to estates. The Brooklin home building boom started in the mid 1990’s and has provided a great mix of homes sizes with everything from condo apartments to townhouses, bungalows to 2-storey, starter homes to mid-size houses and of course, Estate Type houses…Brooklin is perfect for every budget and lifestyle requirement. There really is something for everyone. Brooklin's only apartment style condo's became available in 2013. Mainstreet Brooklin - Dynasty and Regency is a development by Kaitlin Corporation. They are a pair of 3 story buildings at 52 and 54 Harvey Johnston Way, just northwest of Baldwin and Winchester. Together they have 102 units, between 618 and 991 square feet. For more information on this development, please contact us. If you are looking at houses for sale in Brooklin and you work in Toronto, you are in luck because the commute is getting easier. The Whitby Go Train station is not too far of a drive and and off peak service has recently increased from once an hour to twice an hour. Also, with construction currently underway on the Hwy 407 ETR extension, it will make highway access that much easier. The 407 ETR extension is going to connect the 407 from Brock Rd in Pickering (where the 407 currently ends) all the way out Hwy 35/115, just east of Bowmanville. The first section of this extension is scheduled to open in 2015 which will run from Pickering to Harmony Rd in Oshawa. It will also include the opening of the West Durham Link that will run North/South near Lakeridge Rd and will connect the 407 to the 401. Brooklin will have two exits located at Baldwin/Hwy 12 and Thickson Rd. This will make the commute even easier and is sure to continue boost growth and house values in the area. Brooklin is home to two golf courses and only a short drive to a number of other courses. For a full list of the courses in Whitby, check out the Sports and Recreation link in the Whitby section of the menu at the top of this page. Winchester Golf Club features a full 18 holes, but it is a little short with a par of 70 and 5,800 yards. The length can be fun for shorter hitters to play and a thrill for longer hitters with three par 4s that can be driven. The rates are quite reasonable and there are various discount specials that are regularly available. Brooklin's second course is Eldorado Golf Club. It is a fun little 9 hole par 3 course. It also is quite reasonable priced and is a great place to bring the kids. Eldorado is the only course in Durham Region to offer night golf. On Fridays they use glow in the dark balls and glowing flag sticks to have a great time and a unique golf experience. Both courses are members of the Bruce's Golf Rewards program, which has 8 area courses participating in a rewards program that help you earn discounts on golf as well as organizing a local golf tour and youth development programs. If you are going to golf in the area, there is no down side to joining this program. 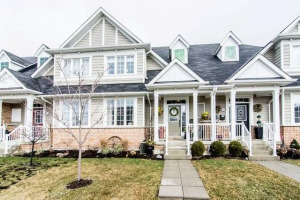 Brooklin home owners enjoy 2 splash pads and 11 parks, 1 skate park, the Luther Vipond Arena, an outdoor ball hockey court, 2 tennis courts and numerous soccer fields, baseball diamonds and other recreation facilities. Brooklin is also fortunate to have quite a few great schools. Brooklin is finally getting its long awaited high school. It will be a public high school, built on the northwest corner of Baldwin and Carnwith. It is scheduled to open in September 2015. 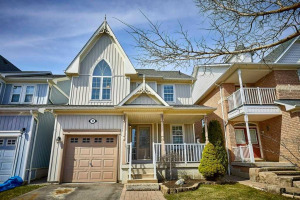 This is great news for home owners and people looking at houses for sale in Brooklin. Currently high school students from both the public and catholic schools are bussed to various schools in Whitby. This new school opened in September 2013 and offers full day Kindergarten. This school features a number of modern touches like an environmentally green roof, skylights in the gym and bright colourful classrooms. The students from Meadowcrest will be transferred to Chris Hadfield Public School as of September 2013 and Meadowcreast will become a full time French immersion school. The DDSB has approved the start of full day kindergarten in September 2014. The DDSB has approved full day kindergarten and it is also one of two schools in Whitby that offer a modified calendar that offers multiple shorter school breaks throughout the year instead of on long summer break. Click here for a copy of the 2013-2014 schedule. With a capacity of 357 and an enrollment of over 500 students St. Bridget is currently under expansion and receiving 6 more class rooms as a cost of $2.7 million. With an enrollment of 544 and a capacity of 435 St Leo's is operating at 128% of capacity. It also includes a French immersion program. 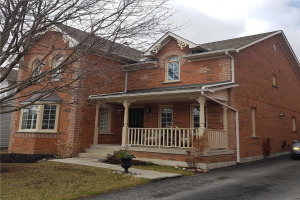 To view houses, properties and MLS listings for sale in Brooklin, Whitby, Ontario or for more information, call your local Whitby Real Estate Agent Dennis and Kim Downey, at Sutton Group Heritage Realty Inc. Brokerage.